You should know Botswana. Botswana is a great advert of beauty. A great place for investors, travellers, nature-enthusiasts and tourists - Botswana has become a destination of choice! Batswana successfully preserved their culture and habitat, while they built their economy. This was done under difficult economic circumstances just as well under a prolonged state of peace and democracy. With a population now almost reaching the 2 million mark, historically Botswana was largely rural, agrarian, poor and significantly undeveloped. In the next three decades since attaining independence in 1966, Botswana experienced huge economic growth. A chance discovery of a diamonds' treasure-trove helped develop the nation. In the early 1990s there was common talk that Botswana was 'Africa's best kept secret'. While much of Africa enjoyed the limelight, Botswana had a slow start and little appeal but slowly built forward. All along Batswana (Botswana people) understood well the need to preserve their country. And mark my words; the country has remained intact to date. But .... there is a satisfying mixture of nature and development - without one standing in the way of the other. Botswana people are still what they are as they were then - humble as ever. The natural habitat is pristine thanks to the preservation of its land through protected game parks and reserves. Today, Botswana is the top destination for business investment, tourism and travel. And it is your home. Talk of having the 'best of both worlds', Botswana has maintained its strong culture, attractive scenery with undisturbed fauna and flora and built a strong economy to enable business to flourish. The country has transformed into the world's top business investment, travel and tourism destination. So really, how well do you know Botswana? 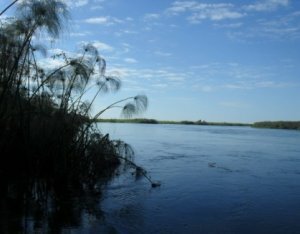 Knowbotswana.com provides information, including through its free ezine or newsletter, and hopes that you too contribute more information on Botswana to create a broad and accurate picture of the country. You can do so by clicking here to add your own content on this site! 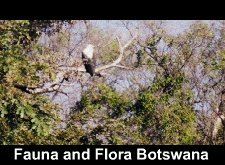 The Botswana Blog keeps you up-to-date with all additions and changes to the Knowbotswana.com Web site. Subscribe here. 'Botswana' means a place for the Tswana, who are inhabitants of the country. Read the full history of Botswana. This is the complete story of Botswana from as early as 300A.D to the present day. Learn about Botswana cities and districts, population, history and their role in the Botswana economy. 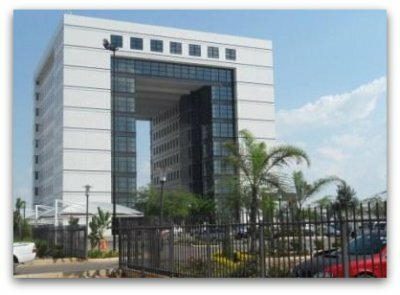 Francistown City, sometimes referred to as the capital of north Botswana is the second largest city and gold mining town. Kasane is Botswana's centre of tourism and a place of natural beauty. Maun lies in the world's leading tourism-rich district in Botswana. 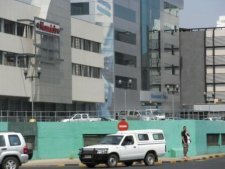 Gaborone the capital city of Botswana offers the best of attractions, adventure, business, accommodation, restaurants and entertainment. Gaborone restaurants with various types of food ranging from traditional cuisine to western style meals. Look for accommodation in Gaborone that includes residential, hotel and general hospitality service. Get business property in Gaborone. Enjoy the Botswana attractions and adventure. The Okavango Delta is Botswana's stand out feature and beauty spot that offers exceptional safari and adventure. Botswana tourism is a thriving industry that is properly coordinated. Get to enjoy all types of Botswana safari that includes self-drives, mobile, tented, fishing and horse-back safaris. The fauna and flora in Botswana is at the heart of a true African safari experience. Botswana culture is diverse. 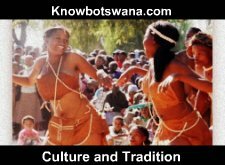 Learn about the culture of Botswana. The beautiful Botswana arts and crafts together with music, dance and literature are a product of Botswana culture and good education system, and reflect a varied mix-up of Botswana people. Botswana fashion and beauty best reflects the dual existence of Botswana tradition and modernisation. Read about the outstanding Batswana athletes and Botswana sport. If you want to do business in Botswana, join the Botswana business community in the areas of property and real estate, mining and banking and finance. Get a different experience in life. Learn the reasons on why you should invest, travel to or tour Botswana. Mining in Botswana plays a significant role to the economy of the country. When in Botswana stay connected to the rest of the world with the leading Botswana news, phones and internet services. Sample the best of botswana food, restaurants and accommodation. Taste great traditional botswana food, and find a room in one of the exquisite hotels, lodges and campsites across the country. Make the most of your shopping in Botswana. Planning to travel to Botswana? Get travel information for visiting Botswana. Planning a Botswana adventure travel? Get all the information here. Get all the information on the Botswana flights. Get all the information on the Botswana holidays. Learn about the country's attractions that make Botswana a top tourist destination. Learn about the car hire Botswana services. Find out about Knowbotswana and their mission, contact details and how to advertise on the site.